Juki MO-1000 Review - No More Threading!! Even if you have no experience with serging, the Juki MO-1000 will make you feel like a pro. With features like automatic and air-supported threading, you’ll be up and running in no time. Made from one of the most respected brands in the industry, the Juki MO-1000 has a place in virtually every seamstress’ craft room. Once you get used to the jet air loopers, you’ll never be able to go back to a regular serger. Before I get into my review, here’s a quick rundown of all the impressive features this model offers. The Juki MO-1000 is pretty light at 23 pounds and it’s about on par with other serger machines in the size department (15.4″ x 15.2″ x 16.3″). There’s nothing fancy or cutesy about the machine’s design. Juki is all about business, and that’s exactly what you want in a serger. Threading is absolutely effortless with the MO-1000. Along with an automatic needle threading function, this model also has jet air loopers. Yes, this machine uses the power of air to loop the thread for you. There’s no more fussing with threads, following diagrams or getting frustrated. There are a lot of things to love about this machine, but the automatic threading and jet air features top the list. The MO-1000 also has another neat feature: an upper looper converter. You can easily switch from 3-thread to 2-thread sewing by pushing the 2-/3-thread changeover attachment to the left position. The adjustable differential feed allows you to work with a wide range of fabrics, even stretchy knits. You can even adjust the feed while you’re sewing. We like that this unit has just the right amount of distance between the knife and the needle to allow you to create beautiful inside curves. The throat area is wider than normal, too, which makes it easy to work on a wide range of projects. Extra features, like the LED light, automatic rolled hem and waste collector (which gathers cut-off fabric) only make this machine even more impressive. You also have the option of deactivating the upper knife. A thread trimming blade allows for easy thread cutting, and you can use the adjusting dial to change the cutting width. You even have control over the presser foot pressure. We like that this machine puts safety first. The MO-1000 will not operate when the cover is open or the presser foot is in the upper position. 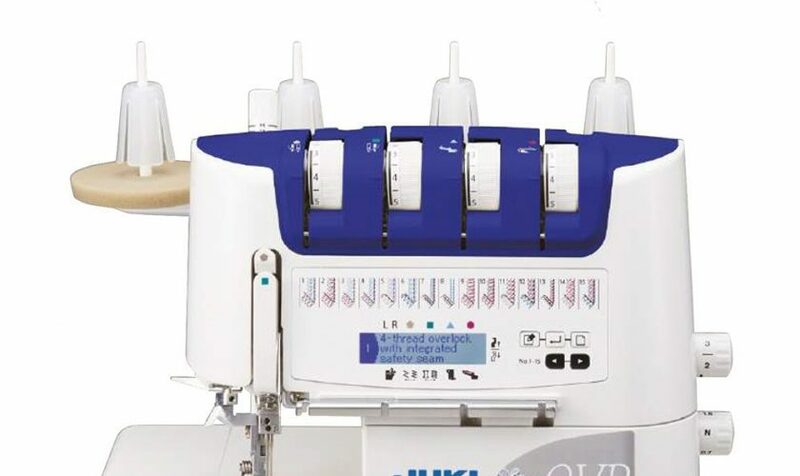 Along with all of these great features, Juki also includes some helpful accessories, such as: instructional DVD, thread nets, oiler, needle set, tweezers, scrap catcher, looper threader, spool caps, screwdriver, brush/needle inserter, dust cover, electronic foot control, foam thread pad and spool pin cone holders. There are also optional accessories and attachments available at an additional charge. It’s hard to find anything to complain about with this serger. It’s made by one of the most respected brands in the industry, and it offers features most of us dream about. Who wouldn’t want a machine that basically threads itself? With other sergers, I would let the color of the thread determine the color of my next garment simply because I did not want to go through the hassle and frustration of having to re-thread everything. If I had to pick one thing to complain about – and I would really be nit-picking – is that the fabric catcher doesn’t really sit flush with the machine. That can make it difficult for it to catch the scraps. But let’s be honest: You’re not buying this machine to catch fabric scraps. Aside from this quirk, the MO-1000 really does its job well. There’s no need to fuss around with threading, and you can adjust a number of different settings to fit your project. Why choose the Juki MO-1000 when there are so many other sergers out there (ones that are less expensive)? It’s ease of use is really the main benefit here. It can be a real hassle to thread a regular serger. The MO-1000 has automatic needle threading and jet air loopers to make the entire process as painless as possible. An instructional DVD is also included to make it even easier to get to know and use your new machine. Juki has a written instructional manual, too, but it’s not nearly as helpful as the DVD. With the MO-1000, you also have adjustable features, like the differential feed, presser foot pressure, overlocking stitch width and stitch length. You can even go from 3-thread to a 2-thread sewing with the push of an attachment. And of course, you have the option of choosing between 2-thread, 3-thread and 4-thread sewing, which makes this machine a good fit for a wide range of projects. Juki has gone to great lengths to ensure that you sew your way. This is a quiet machine, and it sews quickly. 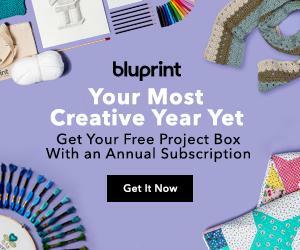 If you’re the type who will work through a project all night, you don’t have to worry about waking the kids or keeping everyone up because you’re sewing. When you choose the MO-1000, you also get the assurance that you’re buying a quality machine. The Juki brand is known for its quality and durability. This is a machine that will give you years of use. You really do get what you pay for with this machine. There are some people who just don’t like the jet air system, and yes, some people have had issues with it. But technical problems are par for the course when mass producing products. If there’s a problem with a Juki machine, Juki will work with the customer to solve the problem. If you’re looking for a high-end serger that offers convenient features and is a dream to work with, the Juki MO-1000 is a good choice. Learn more about the Juki MO-1000 serger on Amazon.